Description: It's okay to play with your food! 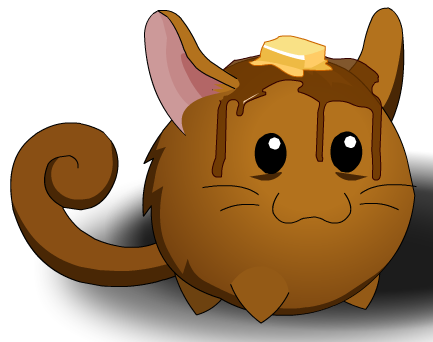 A bouncy chinchilla covered with maple syrup and a lump of butter. Yum! Note: Also see List of all Chinchillas.